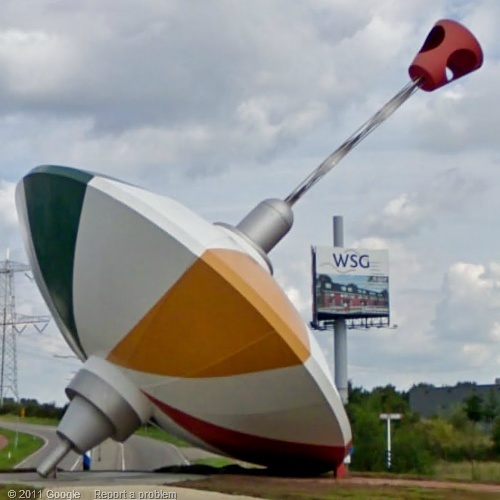 A giant 10 metre high, Spinning Top (or to be very precise Humming Top - Dutch: Bromtol) adorns a roundabout on the Weststadweg in Oosterhout, The Netherlands. 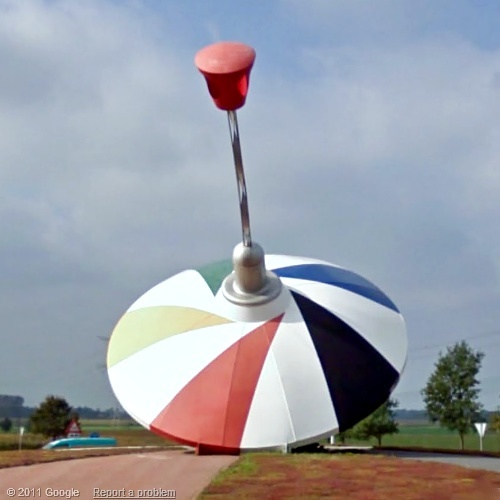 The colourful sculpture is artwork of the Artist Peter Hohmann. It was donated by Martens & Son b.v. to the municipality of Oosterhout and was fabricated by Siemerink B.V. 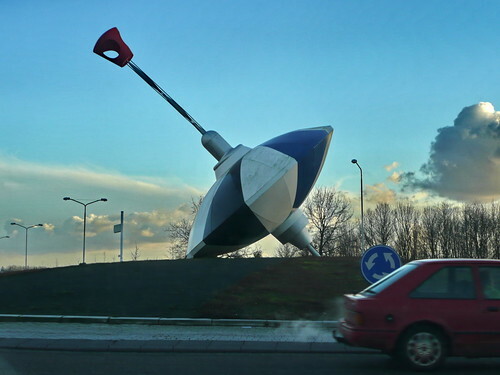 The nearby area is humming with industrial activities and probably the artist represented the same by means of this giant toy. Web page of Siemerink B.V.